I'm talking about speaker cables. "Wires." Which require cutting and stripping. And, in last night's case, because I was feeling generous, or maybe foolhardy, it didn't stop there: after cutting them and stripping the ends for connectivity, I found myself attaching them to banana plugs. I only needed cables for two speakers--but each cable has two strands or polarities, and each requires its own stripping and banana plug. That's eight end points; eight banana plugs. Boo. As I was learning how to do this, mostly with help from YouTube, it occurred to me that it's a weirdly backward, archaic thing. I mean, most home entertainment equipment that isn't wireless can be connected via HDMI these days. 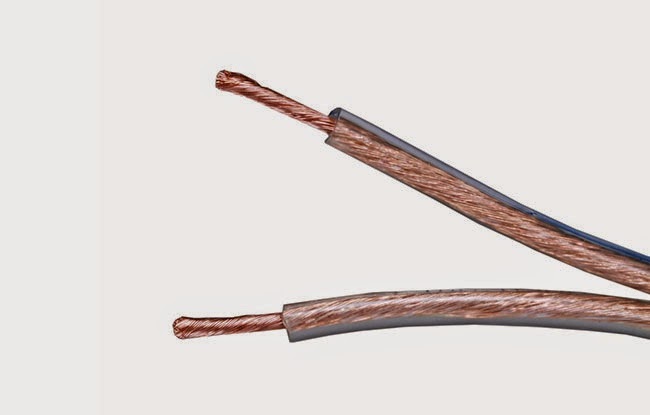 But speakers require you to buy copper wire, cut it, strip it, and carefully insert it so that it makes contact with the right pieces of metal. What? (I'm aware of wireless speakers, but the bulk of higher quality speakers remain cable dependent). 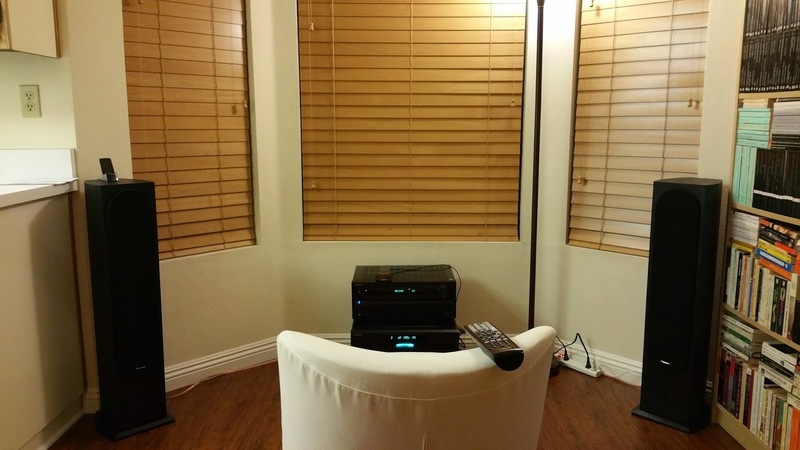 How to save the AV receiver. Anyway. I realize I'm babying about first world stuff! Got through it. Hooked everything up--a CD player, an AV receiver, two speakers. Simple, right? I mean, that's a pretty basic component setup. But I hit a snag right away. As soon as I turned on the receiver, the screen blinked a message urging me to follow the initial set-up instructions via the screen. Meaning, television. Uh...oh oh. I intended to use the receiver purely for music, not as part of home theater system, so there was no television attached. I tried bypassing the pesky message via all kinds of key commands on the remote, but it couldn't be shaken. The manual (basic and advanced, I checked them both) was useless. Eventually I found a way around it; turning the unit off and on a couple of times. But now I really *wanted* to complete the set-up, because it includes steps like connecting the receiver to wifi and calibrating sound levels with the provided mic. Fortunately, I remembered I had a TV in storage, hauled it out and worked through the various menus, memorizing what the receiver screen looked like at each stage. But you really shouldn't need a TV to set up an AV receiver; and you shouldn't have to cut, strip and attach cables to get speakers connected. Perversely, though, despite everything I've just said, I'm kind of glad I learned how to do it. Learning new (admittedly minor) skills is ultimately fun.